For the most part, the Thor series has been one of royal politics, one certain inter-dimensional love affair, and a bunch of monsters from other realms paying a visit to ours. It's not exactly the lightest of material, and with the Marvel Cinematic Universe already being dark enough on its own, a little bit of humor would be welcomed in the life of Odin's favorite son. 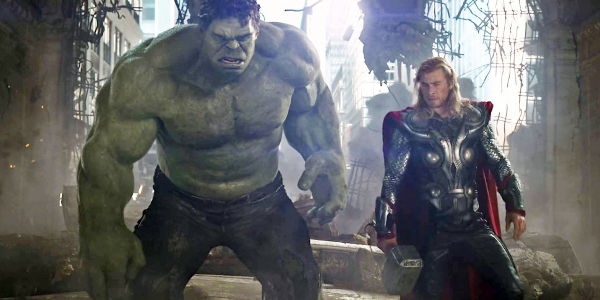 Well as luck would have it, Thor: Ragnarok will have just that, according to The Hulk himself, Mark Ruffalo. Taika [Waititi] is directing it, so there will be a lot of humor in it, which we probably haven’t seen before in the Thor world. Now Mark Ruffalo is kind of right and kind of wrong when it comes to humor in the world of Thor. While the first two films have mostly been serious, nearly dour affairs, there have been choice moments of humor between both films. For instance, there was the entire subplot of Thor being a fish out of water on our Earth during the first film, which most hysterically resulted in him smashing a coffee mug in approval of coffee. Not to mention, the second film, Thor: The Dark World, decided to lean on Dr. Selvig and Darcy's comedic shenanigans, much to the detriment to that film's finished product. So what's so new about Thor: Ragnarok's promise of a funnier Thor outing? Well, it sounds like rather than having a couple choice moments of laughter, the entirety of the film will be somewhat more light-hearted when compared to the rest of the series. With Taika Waititi's entry into the Thor canon being described as a buddy road comedy of sorts, the stage is set for Thor and The Incredible Hulk to make their way towards their objective of saving the multiverse, and to do so in a rather humorous way. Not to mention, we're still mulling over Waititi's direction on Hunt For The Wilderpeople, which to us is as perfect a film as any to audition the director's skills at making a road movie of sorts. If we weren't amped for Taika Waititi's directing gig on Thor: Ragnarok before, Mark Ruffalo's comments are certainly getting us to the point where the third Thor film is going to be a most anticipated affair. We'll see what the funnier side of apocalyptic doom looks like when the film hits theaters on November 3, 2017.